Preparation for The Story involves planning, prayer and vision casting. The planning phase starts approximately 10 weeks before your start date, and includes a process of preparation for your ministry leaders and your congregation. To prepare for The Story, your best starting place is the Implementation Guide where you’ll find a three-stage plan for preparing your leaders, a six-step (8-week) plan for preparing your church, and guidelines for implementing the campaign in single ministries and for different lengths of time. Learn how The Story was originally developed, and about the Upper Story/Lower Story as well. Here is one example of the tools provided to help you structure the campaign in order to keep people engaged and accommodate your church schedule. Pastor Kevin Harney, who authored the Participant’s Guide for The Story adult curriculum, shares his experience and leadership ideas for helping your church get the most out of The Story. 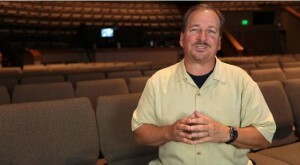 How doing The Story on every level of church life has impacted the Shoreline Church congregation. Includes the testimony of a mother and son who are reading together through The Story. How The Story helps both new believers and long-time Christians grow in faith. Includes the testimony of Sherry Harney who has her masters in theology, sharing her personal experience of reading The Story. How Pastor Harney broke The Story into six mini-series. His preaching schedule and sermon graphics are included in the “12 Months of Preaching Schedules” spreadsheet on the Weekend Services page. 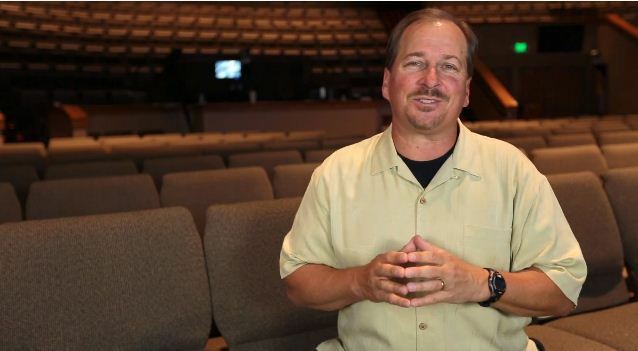 How Shoreline Church has seen numerical growth as a result of The Story. Harney explains the unexpected 20% growth in attendance that has resulted from doing The Story. Pastor Harney explains how he uses simple staging to visually and powerfully portray the three parts of The Story sermons. Shoreline’s three years using The Story. Pastor Harney explains how he discovered and introduced The Story to his church leaders first, then his congregation, and how it will continue to play a part in their discipleship plan. Not surprisingly, the Shoreline Church congregation is experiencing spiritual growth, which is a direct result of people actually reading their Bibles, some for the first time. How Shoreline trained and recruited small groups hosts for The Story. The key was to establish ‘hosts,’ not ‘leaders,’ and encourage the hosts to closely follow the curriculum.